There is something strange about Lamy. In fact, it seems like there are two different Lamys: One is the groundbreaking-design-firm, that designs pens that are both minimalist and sophisticated (Lamy 2000), That is not afraid of bold and crazy colors (The Safari and Al Star lineup); The other Lamy is a company that seems a bit, how should I put it… non-evolving: sure, one can definitely recognize a Lamy pen when one sees it, but is that a good thing? Do pen lovers really not want to be surprised by pen companies? Case in Point: the new Lamy Aion, the latest addition to the Lamy lineup. The pen is made of Aluminum, and comes in either Olivesilver or Black, and with a stainless steel nib, that while interchangeable with regular Lamy nibs (such as the Safari ones), is different in design. As always with Lamy pens, the designer was named, so let's give him the credit: Jasper Morrison, a renowned industrial designer, is the person behind the design. Lamy marked it "Simply Modern", and they claim it to be in direct linkage to the famous Lamy 2000, maybe that's why over 50% of their marketing material regarding the Aion refer to the 2000 instead. I bought my Aion from Cult Pens, which charges about GBP 40 (USD 54) without the tax, and GBP 47.50 including tax. On American websites the Aion sells for about USD 70, give or take. The first drawback for me was the fact that the pen did not ship with a converter. Now, I use cartridges sometimes, mostly with my Kaweco Sports; I don't like to use cartridges on pens I use for work, as I find the ink flow to be much better with a converter. I think that a pen at this price, should come with a converter. Now, I understand that in the US market, a converter is included, which is fine. The pen itself is well built: there is nothing new or exciting in the design, and if you're looking for a gimmiky-type pen, that's not it. However, it is a good, solid pen, suited for the office and for the boardroom alike. 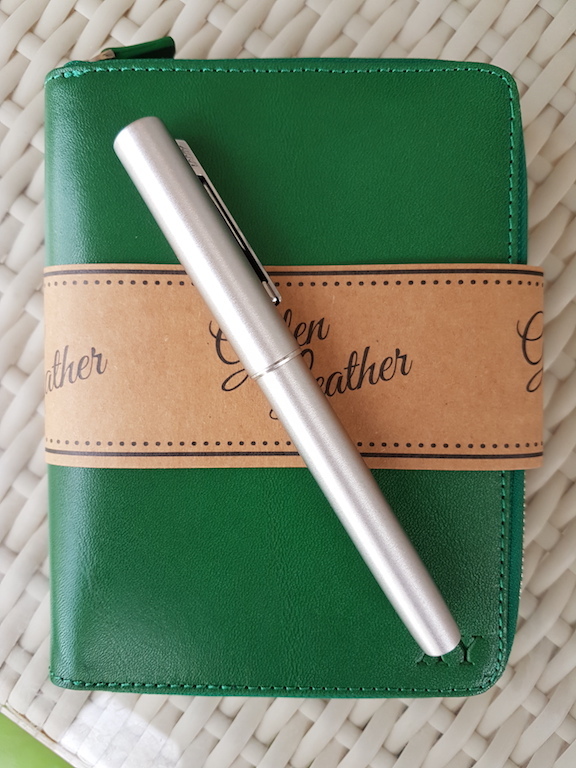 Compared to the Studio, which is approximately in the same price range, the Aion is a heftier pen: its diameter is slightly larger, and it is a bit higher, so for people with larger hands, this may be better and more comfortable to write with. The pen is not very heavy, but does have some gravitas to it, and it is well balanced. The cap posts comfortably, without throwing off the balance. The main novelty of this pen is the nib. Lamy are famous for their uniform nibs, using for most of their pens (except for the 2000 line). 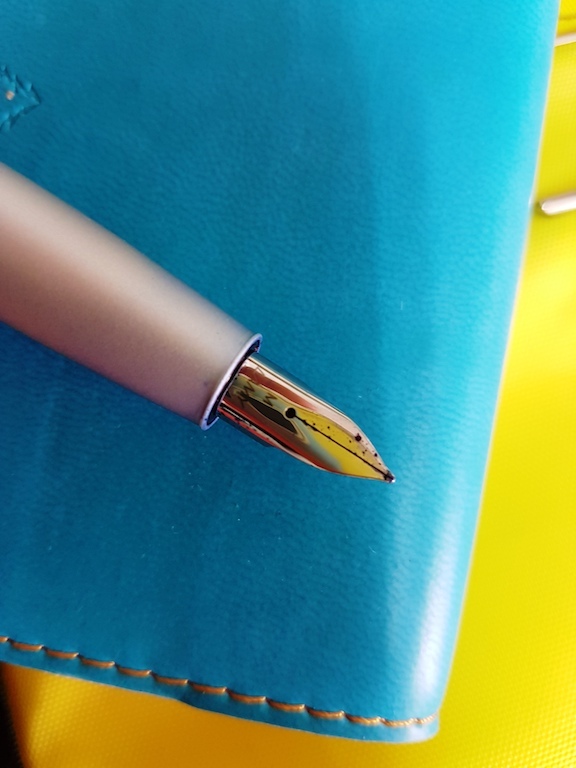 The nib on the Aion is somewhat different: it is more round on the tines, and while you can replace it with any other standard Lamy nib (if you want to upgrade to gold nibs, or if you prefer calligraphy nibs), the use of this new design is a statement. Is it a good statement? I have to admit, I'm not sure. One of Lamy's strong suits has always been in my mind the fantastic stainless steel nibs they make. The nibs on the Al Star or the Safari are, generally, so good, they give you a smooth, silent writing experience. In fact, trying the Lamy gold nibs have proven almost no different to me than use of the stainless steel ones. The new, rounded nib is different. While not scratchy per-se, it does make a distinctive sound on the paper. Some may like it: the tactile sense of a nib running on paper is one of the positive effects of writing with a fountain pen, so for some of you, this may not be an issue, but this is by no means a smooth writing experience. I have tried the pen on many types of paper: from Rhodia pads to the horrible laser-printer pages, and while the sound was more distinctive on some papers than on others, it was present on all papers, smooth or toothy. The ink flow, as expected from Lamy, is very good: the nib is neither too wet nor too dry, and using a Visconti Blue ink on it gave great results. So, is the Lamy Aion a good buy? I've been writing with it for about a week now as my main writing instrument. It is, like most Lamy pens, a workhorse. Lamy was right to place it in the medium price range. At this range, it is a decent pen, worth having in your pen case. Posted on December 26, 2017 by Brad Dowdy and filed under Aion, Lamy, Fountain Pens, Pen Reviews.